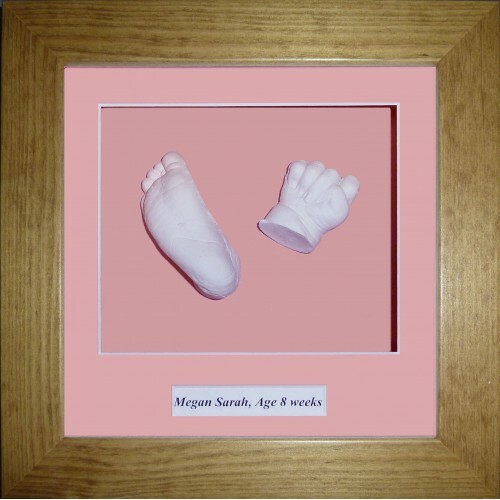 A beautiful, unique baby keepsake, with this luxury baby casting kit, the frame is made from a Flat Pine, wooden molding, it has a solid, wooden back-box at the back, this is backed with quality backing card and it contains a mount which has a space for your casts and a space for you to include baby's name, age or date of birth, by simply writing or printing it onto paper or card and fixing to the back of the mount. The glass size is 8 ” x 8” (204mm x 204mm) and the display area to display your casts is approx. 6"x5" (152mm x 127mm), please note that we use glass rather than perspex as perspex scratches too easily, the name space is approx. 0.5" x 5" (12mmx 127mm). There is lots of room to house baby curled up fists too if you need this space (as babies naturally hold their hands in fists), all our 3d frames are made with this in mind with extra depth, giving you a beautifully proportioned and elegant finished piece, this frame will compliment any decor and look fabulous wherever you display it. This is a beautiful, complete casting kit; this classic, name frame baby casting kit includes an 8”x8” (204mm x 204mm), square box frame, with approx. 2” (50mm) depth at the back to house your casts in, which is plenty to house even a curled up fist, which is naturally how tiny babies hold their hands. You can choose from a range of colours for the mount and backing card, we will automatically change both the cards to the same colour when you make your selection. Don't forget, if you'd like to add an engraved name plate to your order, then click to add this on the drop-down box and fill in the details you want written, remember to check your spellings and include capital letters where you want them, we will print it exactly as instructed by you and will not make alterations. There is enough material to make up to 6 baby hand or feet casts, giving you enough for a few practices before you create your casts that you are going to display in your frame, this kit supplies enough materials for you to practice with to enable you to get the hang of casting, not just enough for two attempts and that's all, our kits do allow for a few mistakes along the way! Simply choose which colour paint you would like with your kit from the drop-down box, even a paint brush is included in our kits. Our casting kits also contain all the necessary fixings for the frame and even glue for fixing your casts into the back box, you will be supplied with professional finishing items to produce a quality, finished item. 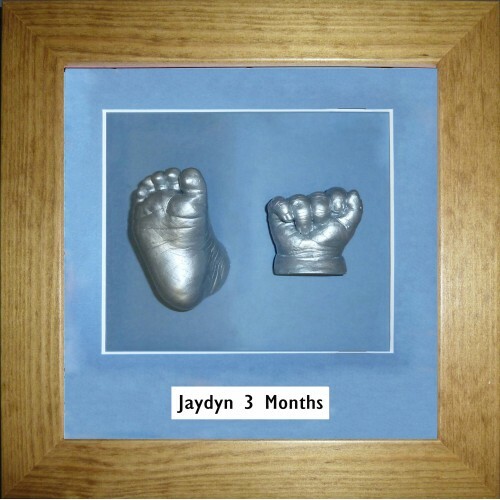 This casting kit comes with easy to follow instructions and is a perfect gift for a new baby, enabling you to create a beautiful, complete keepsake all of your very own, but can be used for older children too, creating a full 3d memory in all its glory. This price is inclusive of VAT and we also offer FREE UK MAINLAND postage, for all other areas we offer a small subsidised posting charge. This is a beautiful box-framed, complete casting kit; this classic framed baby casting kit includes .. This frame is made from a Gold effect frame molding, it has a solid, wooden back-box at the back, th.. 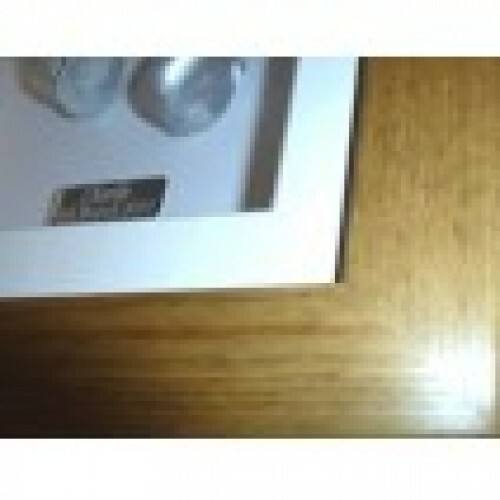 This frame is made from a Silver effect molding, it has a solid, wooden back-box at the back, this i..